According to Nicolas Cunningham, Caddo's assistant principal of administration, Wolfie's purpose is to "promote school spirit and school pride for our newly merged campus." To that end, says Cunningham, the school showcases the new inflatable mascot "at major school functions such as sports games, cheerleader [events], dance line, Back to School Night, Family Night, Homecoming etc." 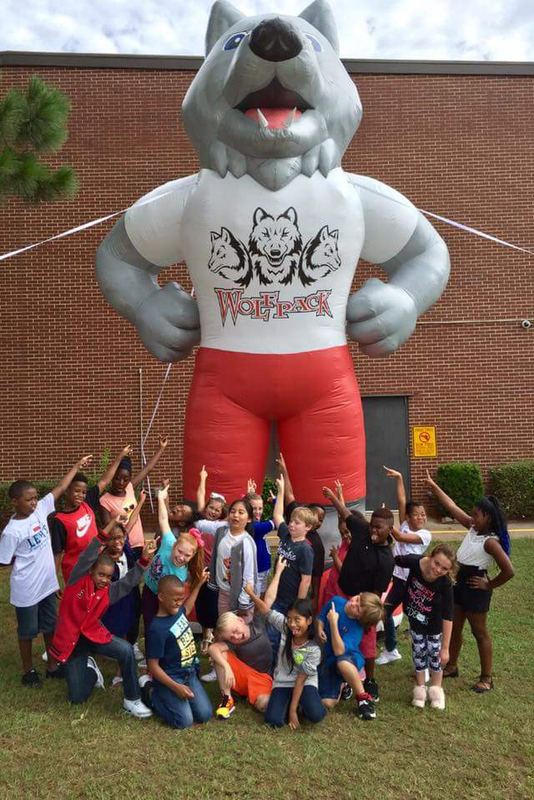 Caddo's 850 students love Wolfie, and they've rallied around the giant inflatable at parades and school events. "[Wolfie] increased school pride and spirit," reports Cunningham, "and promoted a positive atmosphere on campus for our kids." Why did Cunningham choose Landmark to create the inflatable mascot? He saw Landmark's advertising, he says, and he was impressed with the firm's willingness to work closely with the school. The result is a win-win for everyone – school, students, community.